Thank you notes are always appropriate. Thank you notes are a wonderful way to show someone appreciation. Most people wonder when to send thank yous. Are notes required if you thanked someone in person? How late is too late to send a thank you note? What if you were too sick to send a thank you note right away? Don't worry. While there is some basic etiquette for thank you notes, when in doubt send one out. And always remember that it is better to send out a thank you note late than not to send one at all. 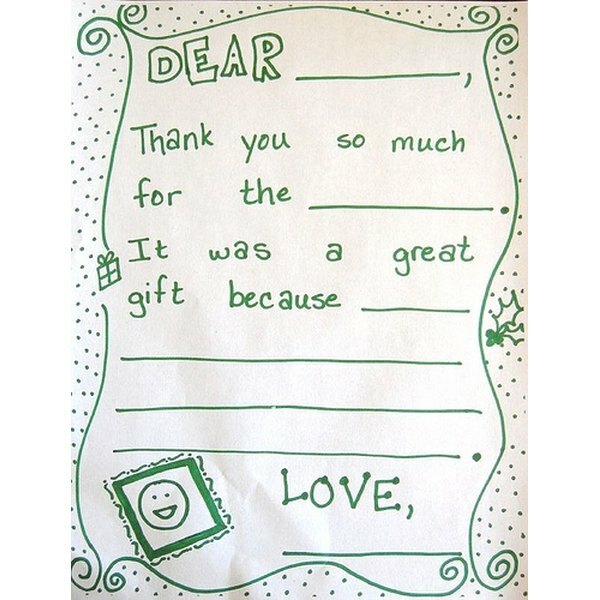 Thank you notes must be sent after receiving a gift. This includes wedding, birthday, sympathy, graduation, bridal or baby showers, and any similar situation. 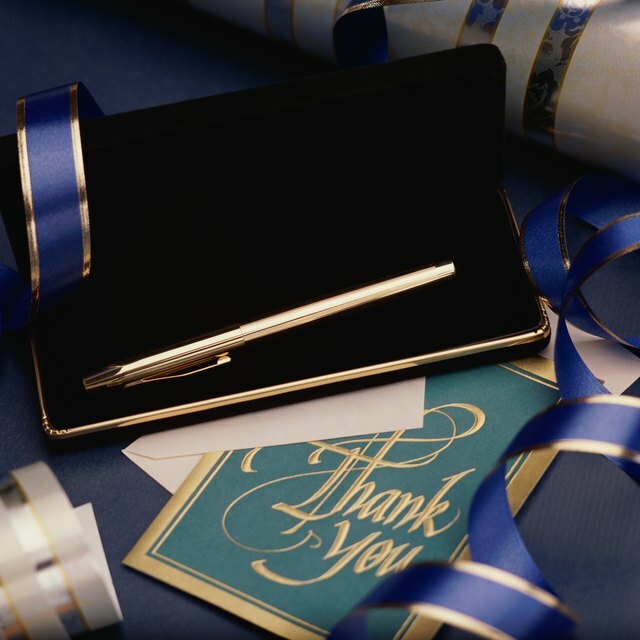 Thank you notes should also be sent to the hostess of a party in your honor, after being entertained by your boss, or when you have stayed as a house guest (unless it was with a close relative or friend). Send thank you notes for any sympathy or congratulations letters or cards that you receive that included a handwritten, personal message. It is not necessary to send a thank you for preprinted cards that were simply signed. According to the 17th edition of "Emily Post's Etiquette," thank you notes are optional in some circumstances. You may, but are not "etiquettely required," send thank you notes after being a guest at a dinner party or a job interview. Thank you notes are optional, but are still a good idea, if you have already thanked someone in person for a birthday, anniversary or holiday gift. Thank you notes are required, however, for shower and wedding gifts even if the person was thanked in person. When in doubt, however, it is always better to send a thank you note when someone has done something nice for you, especially if that something nice included a gift. Depending on who you ask, people will tell you that thank you notes should be sent somewhere between immediately and two weeks after receiving a gift. If, however, the recipient has been in the hospital, then the thank you note should be sent as soon as he is capable. The time line changes a bit for wedding gifts received at the wedding, because trying to get thank you notes out within a two-week time frame would require the couple to spend their honeymoon writing them. Wedding thank you notes should be sent within three months of receiving the gift.